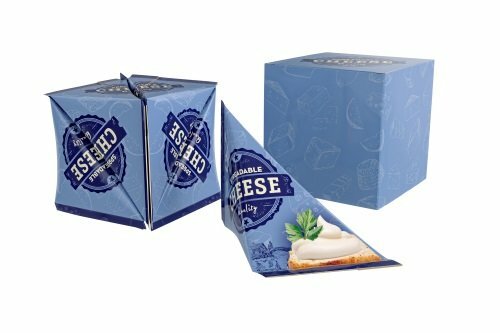 Tetra Pak’s new Tetra Classic Aseptic 65ml Cube package for packaging dairy, juice and liquid food is designed to allow every six packages to form a cube, hence optimizing the use of space in distribution and storage. Compared to the traditional Tetra Classic Aseptic 65 ml packages, the new package requires less secondary packaging and needs approximately 40% less space to transport the same quantity of products. The new package is now available with hand packing for secondary boxes. It has been in use since December 2018 at a customer in Southeast Asia selling coconut milk as a cooking ingredient in markets where logistics infrastructure is a challenge.